It would be just wonderful! Brooklyn and Chloe has always had an uneasy relationship: they were together on and off for several years. But it seems that they want to show us they're serious. The actress shared a joint photo, in which she and Brooklyn are seen with pair of rings, and with the initials! She wears ring with the letter "B" , and he wears a ring with letter "C". And what's with the gesture, as if the couple tells us "it's still a secret?" Fans are sure that it is a clear allusion to a secret engagement and the rings are not just accessories. Recall that the couple began dating back in 2014, but, unfortunately, broke up last summer. But in August they were again seen together at a party in Los Angeles. 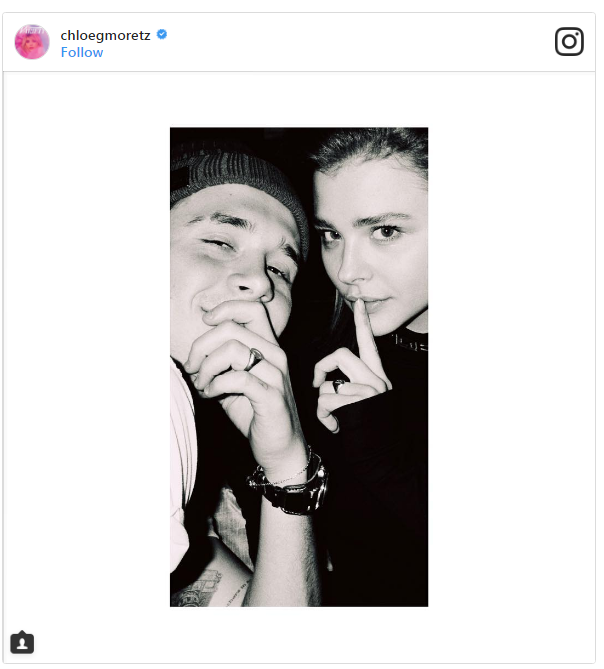 But after this meeting, fans began to notice how Beckham and Moretz began to flirt on Instagram, sending heart emoji to each other. Fans were confident that they reunined again. 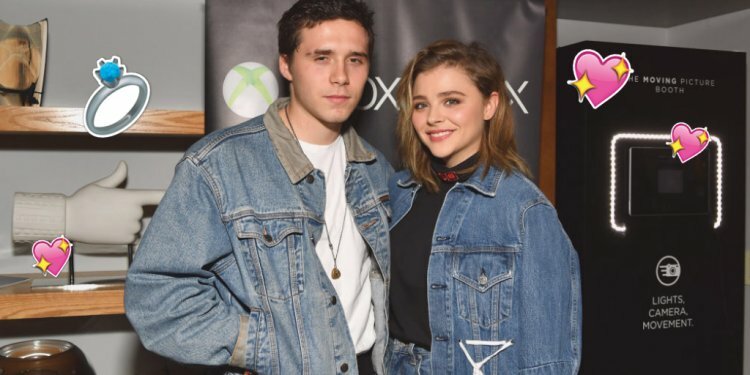 And on 6 November at Xbox Live Session, which was held in New York, the guys come together as a couple dressed in same outfits (they were both in oversize jackets made of denim), hinting that they are fine again. Isn't it true that they wear engagement rings? If yes, how long Chloe and Brooklyn are going to keep it a secret?